For more than forty years, Charlette Seidel has been the managing broker for Coldwell Banker’s Coral Gables/Coconut Grove office, directing the activities of more than 200 associates. Under her leadership, the office has been ranked number one in the state of Florida, named a “Premier Office” for Coldwell Banker, and ranked number one in performance throughout the United States in the category of sales production. Charlette is a Presidents’ Council Manager for Coldwell Banker and holds the Global Luxury designation for luxury marketing. Her other designations include Certified International Property Specialist (CIPS), Certified Residential Broker (CRB), Certified Residential Specialist (CRS), and Transnational Referral Certified (TRe). A native Miamian who was raised in Coral Gables, Charlette is a graduate of Sunset Elementary, Ponce de Leon Middle School, and Coral Gables Senior High. She later graduated from Florida State University with her degree in Latin American Studies. After spending eight years with Pan American World Airways as a flight attendant, instructor, and assistant manager of flight attendant training, she began her Miami real estate career in 1977 by joining The Klock Company Realtors (now Coldwell Banker), entering management one year later. 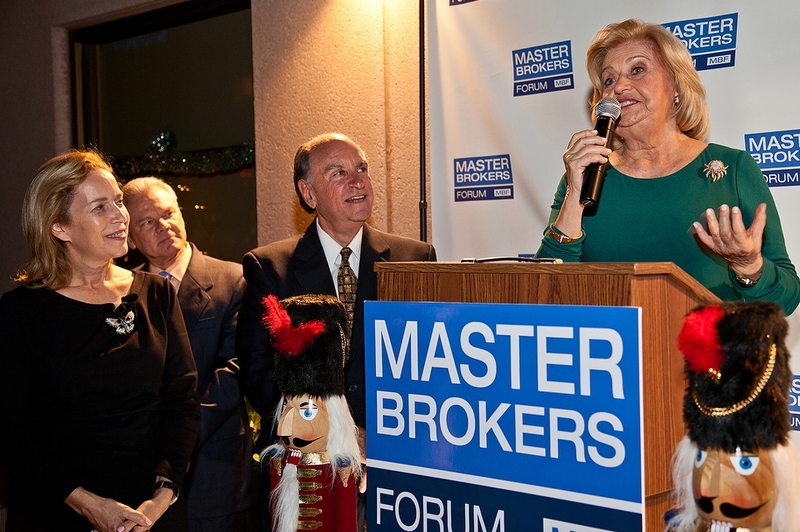 Charlette is a charter member of the Master Brokers Forum (MBF) and has rarely missed a meeting over the past 25 years. She credits the MBF for providing a wealth of information, countless good friends and colleagues, and “insider” knowledge on the latest Miami projects and developers. Active in her community, Charlette is a Trustee member of the Coral Gables Chamber of Commerce, a Foundation Member of Villa Vizcaya, and Executive Board member of The Young Patronesses of the Opera (where she co-chairs the renowned National Voice Competition, held every two years in Miami.) She chaired the Professional Standards Committee for the Miami-Dade Board of Realtors for twenty years, and continues to serve the Miami Association of Realtors. 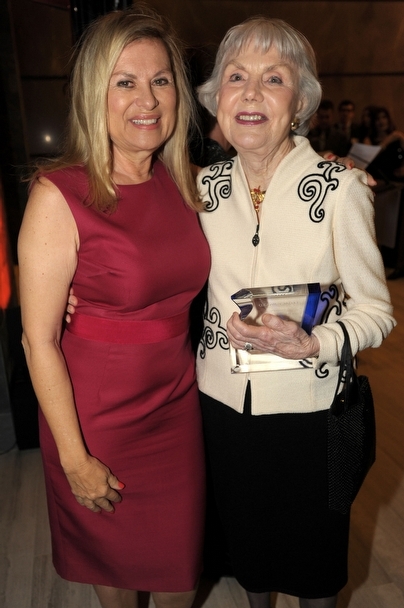 She is a member of the Two Hundred Club of Miami, The Frost Museum, Fairchild Tropical Garden, and Coral Gables Museum. Ron Shuffield is CEO of EWM Realty International (EWM), a 53-year old real estate brokerage with 10 offices in South Florida, and an affiliate of Christie’s International Real Estate. As a part-owner of EWM since 1984, Ron sold EWM in 2003 to an affiliate of Berkshire Hathaway. EWM has 900 associates and staff who are involved in South Florida residential and commercial real estate sales, which are approaching $3 billion annually. Ron has been a member of the Greater Miami Chamber of Commerce since 1977, where he currently serves as a member of the Board of Governors. He is also a founding member of the Beacon Council, Miami-Dade’s economic development agency, where he currently serves as a member of the Executive Committee. He has also served as chairman of the Coral Gables Chamber of Commerce and the Coral Gables Community Foundation. He is a past recipient of the Robert B. Knight Outstanding Citizen Award for his involvement in the Coral Gables Community. He was also honored in 2003 as an inductee into the South Florida Business Hall of Fame by The Florida Council on Economic Education; and, in 2010 was selected as one of Miami’s “Ultimate CEOs”. 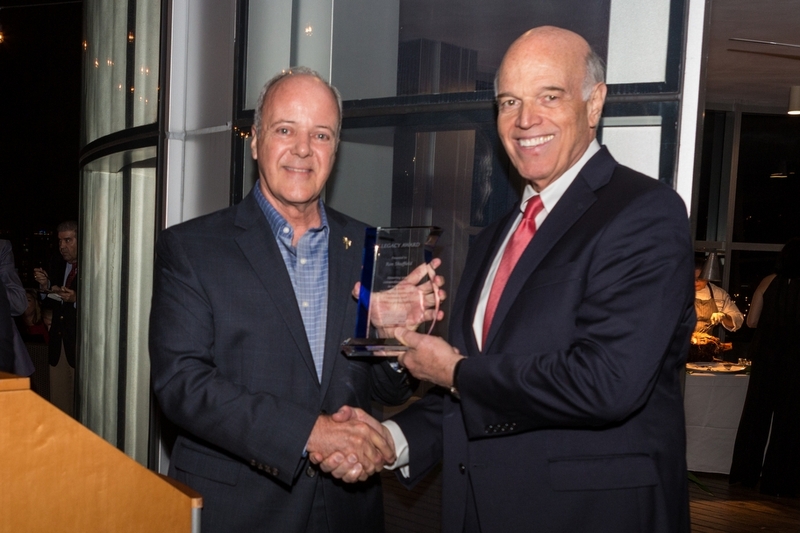 In 2013, he was awarded the “Power Leader” award by the Greater Miami Chamber of Commerce and in 2015, the Coral Gables Chamber of Commerce presented him with their Business Leader of the Year award. Ron also serves on the boards of Baptist Health South Florida and The Kirk Foundation. Ron is a graduate of the University of Tennessee and he has also been a member of the University Baptist Church in Coral Gables since 1976, where he is a past chairman of Deacons. He and his wife have three grown children. The MBF was established by Helen Jeanne Nicastri and local banker Milton Wallace in February 1993. It began as a small network of Miami real estate agents from competing brokerages, in response to the devastation of Hurricane Andrew that previous September. During this challenging time, the group shared information and resources in the spirit of camaraderie and professionalism. More than 20 years later, the MBF has more than 400 members between its Miami and Gold Coast (Broward and Palm Beach County) chapters. While overseeing the MBF’s dramatic growth and achievements, Jeanne also became one of Coldwell Banker’s most productive and successful Miami agents, earning the “Top Residential Realtor” award in 2010 from the Greater Miami Association of Realtors; “Top Individual Realtor” honors in Southeast Florida from Coldwell Banker in 2012; the “Number One Individual Residential Realtor” honors from the Greater Miami Chamber of Commerce at its 2013 Real Estate Achievers and Leaders (R.E.A.L.) 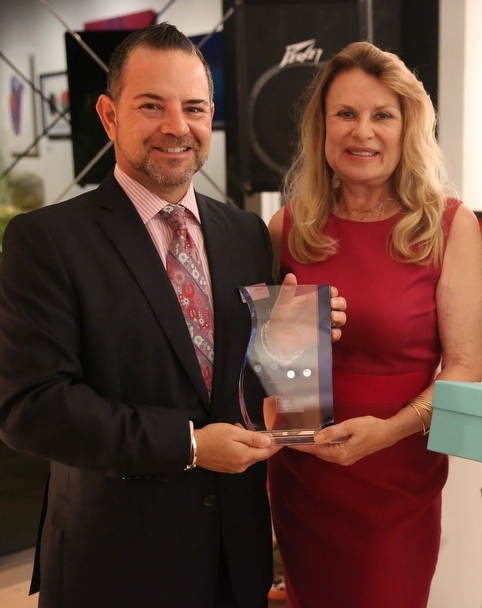 Awards; and the “Number One Top Producer” honors from Coldwell Banker Coral Gables in 2014 and 2015. Long before it became standard in Miami real estate, Jeanne has recognized the importance of international connections, and participated in numerous global conferences and symposiums. She has represented Coldwell Banker and Miami at MIPIM, the top real estate summit in the world, for 13 years, and is a longtime member of the esteemed FIABCI (International Federation of Realtors Worldwide), serving as president of its Miami Council. Jeanne has also been a feature speaker on the “State of the Real Estate Market” for the Miami-Dade County Commission, as well as for the Miami International Real Estate Congress. Consuelo Stewart is one of the region’s most successful and recognizable agents, with more than 35 years of service in Miami’s Coral Gables, Cocoplum, Pinecrest, and Key Biscayne neighborhoods. Known for her unrivalled focus and work ethic, she began her career as a Realtor-associate in the 1970s and then went on to become a broker, often selling the same high-level properties for her clients three or four times over. She co-founded Earnest and Stewart in the 1980s, and in 2008, joined forces with friendly rival Teresita Shelton to form Shelton and Stewart, later joined by Teresita Shelton Bernace. Teresita Shelton was born in Havana, Cuba in 1940, of Irish and Scottish ancestors. She attended the University of Villanova in Havana and received an Associate Degree in Business. Teresita began her career in real estate as a self-proclaimed “bored housewife” in Puerto Rico, where her husband had been transferred. While living in a neighborhood of brand-new, mostly unsold homes, she convinced the developer to let Teresita use her own residence as a model home – and promptly sold them all.In Miami, she joined her sister at Prats and Associates; at the time, the city’s largest Hispanic-owned realty firm. She opened her own office 18 years later as Shelton and Brizuela, then as Shelton and Associates in 1998. In 2002, her daughter Tere Shelton Bernace (a Yale graduate who had spent 14 years with Barclays Bank) joined her and in 2009, former competitor Consuelo Stewart also joined her, forming the highly reputable South Miami-based Shelton and Stewart office we know today. During her 35-year tenure selling Miami real estate, Teresita has helped hundreds of agents start their careers, while also advising and mentoring seasoned associates. In the greater Miami real estate community, she is highly respected as a cooperative problem solver; one who always has a creative solution to help close a deal..
Rosalie Elliott became a realtor after raising five children and serving on various boards and associations. She credits this volunteerism with providing a “jump start” for her business career, creating a wide number of contacts and honing negotiating skills. 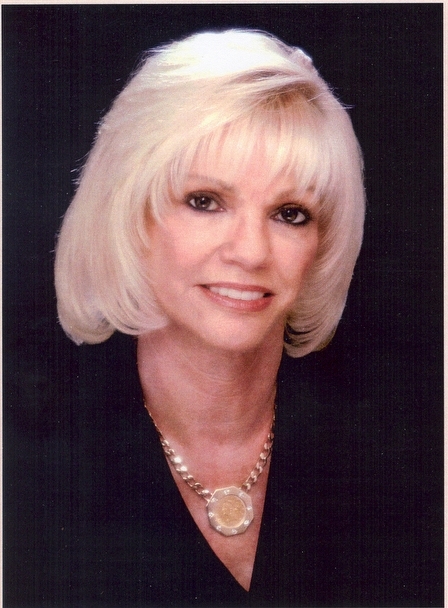 In 1969, she earned her license and joined Stadler Associates; specializing in luxury properties throughout Miami In June 1989, she broke the million-dollar barrier for non-waterfront homes In 1990, she moved to Prudential Florida Realty, which was later purchased by Arvida, which was later bought by Coldwell Banker – where she retired in 2006.Throughout the years, she worked with clientele from all over the world and was referred by the local branches of many, many major corporations, banks, airlines, hospitals, etc. 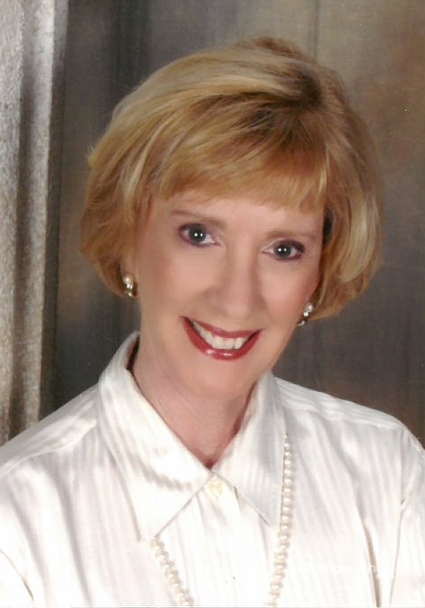 Jeanne M. Baker’s extraordinary career in South Florida real estate blazed a trail for thousands of successful women in the industry. She accomplished this legacy through a potent mix of style, dedication, and a passionate commitment to fairness.Ms. Baker began her career in the 1960’s, working for Abe Eiserman. She very quickly the company’s sales leader, surpassing her male (and more experienced) contemporaries. 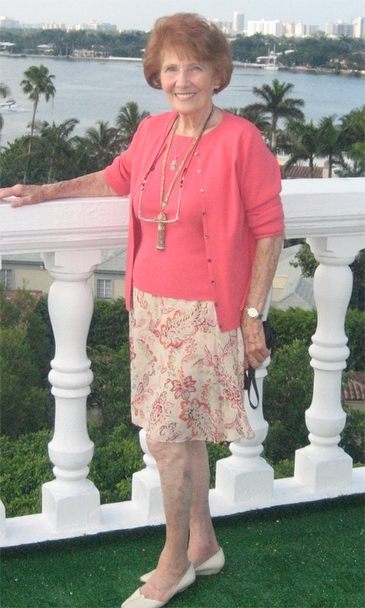 She soon joined forces with Polly Hill of Polly Hill Realty, where the two earned some local celebrity for wearing their trademark high white “go –go” boots; a popular fashion statement of that era.In 1973, she opened Jeanne Baker Realty, Inc. in Miami, where she enjoyed enormous success as both an broker and owner. (When she sold the company in 1996, it had six offices and nearly 600 agents.) In so doing, she broke the “glass ceiling” for not only herself, but also for hundreds of women who found financial and career independence through real estate. Ms. Baker and her son, David Popham, later re-opened the company in 2003, where she continues to practice and mentor future generations of real estate professionals. Ms. Baker is most proud of her reputation for honesty and fairness with everyone in real estate, as well as in her own personal relationships. She is also immensely proud of her long association with the Master Brokers Forum, and thanks her colleagues for this fabulous recognition. 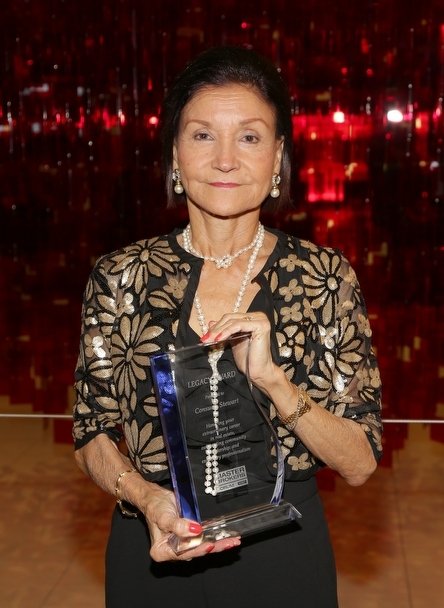 2011 CO-HONOREE: Alicia Cervera, Sr. Known as both the “Queen of Brickell” and the “Grand Dame of Miami real estate,” Ms. Cervera is the founder of Cervera Real Estate, one of Miami’s leading real estate firms. 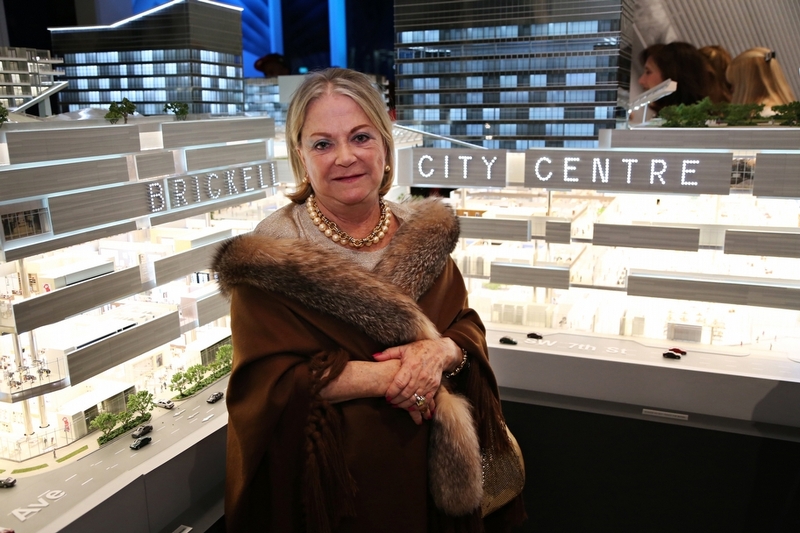 Over the course of 40 years, Ms. Cervera is responsible for breathing life into new communities and revitalizing existing ones such as the once dormant Brickell area, the cosmopolitan South of Fifth neighborhood in Miami Beach and the new urban Biscayne Boulevard Corridor. She has sold hundreds of thousands of luxury high-rise condominium units, served as an invaluable consultant to the most prolific developers, and amassed dozens of personal and professional accolades for her work in the real estate industry. It is Ms. Cervera’s acute foresight, her comprehensive understanding of the local market, combined with her skill to attract clients from all over the globe and an intrepid approach to selling that made “Cervera” a household name in the South Florida marketplace. Ms. Cervera has left an indelible footprint on South Florida’s colorful real estate landscape, one that places undying resolve, honesty and integrity, and the constant quest for knowledge at the forefront of success. Ms. Framer created a real estate empire that began with dominance over the Miami Beach luxury market, and eventually expanded to all of South Florida. Ms. Framer accomplished this extraordinary feat through a mix of determination, hard work, ethical professionalism, and an appreciation for local history. Ms. Framer earned her real estate license in 1969, and began her career working for Keyes Realty, where she became the number-one producer and sold the most expensive houses on Miami Beach year after year. In 1978, she established Framer Realty with a small team of associates which she considered her “extended family”, and the company became know as the finest luxury real estate boutique in Miami Beach. After an incredible 20-year run as an independent agency, Framer Realty was purchased by The St. Joe Company (which eventually became Coldwell Banker) in 1999. Her market expertise eventually ranged from Key West all they way up through the Palm Beaches. Ms. Framer continued serving her clients and market until 2008 when, at the age of 89, she moved to Arizona to be with her family.